Are you planning the perfect ride as the weather gets warmer and the evenings get lighter? Here's a few top tips and advice for summer motorcycling. When did you last check your bike? If it’s been stored away over the winter or you haven’t given it the once over for a while complete a bike check. 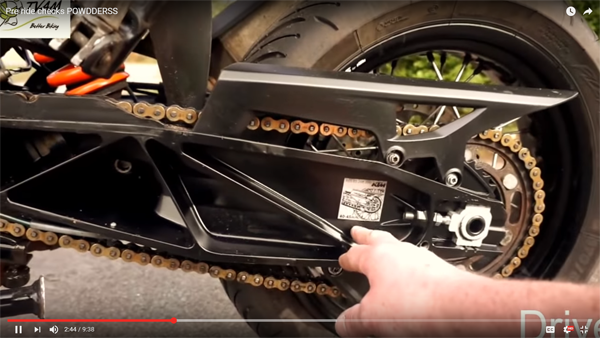 Thames Vale Advanced Motorcyclists have put together a great little video showing want to look for, check it out on their TVAM Training YouTube page. Does your bike need a service? If your bike has been stored away for months or hasn’t had a service recently now is a good time to get it done. This is not just to protect your bike but also for safety reasons to prevent you breaking down. Don’t just be a good rider be the best! Summer is great time to go on an advanced motorcycle training course. You may be newly qualified or returning to biking after a period of time away from the bike. Even if you’ve been riding for years there’s always something new to learn, a skill to refresh or a bad riding habit to break. Got your summer gear ready? In the warmer weather it may be tempting to wear less gear. You may have already invested in summer gear, if not you may want to do so. Wearing protective gear when riding may save your skin and there are many options designed for warmer weather. Are your helmet and leathers fit and fine for the job? Look out for any signs of damage general wear and tear that may cause your protective clothing to fail. Make sure you pay special attention to zips and seams too. What will you do to make your ride safer? The key thing that will help keep you safe is your attitude. If your safety is the most important thing to you it will influence your attitude on every ride and the way you perceive and deal with any hazards on the road. Be seen, ride with your headlight on dipped beam. Adjust your speed. Give yourself time to react. Take extra care when filtering through traffic as drivers may not always be aware of you. Remember that drivers have difficulty judging the speed of your bike. Leave plenty of room between you and the vehicle in front. Plan ahead when approaching junctions. Be aware of vehicles approaching from a side road. A driver emerging from a junction cannot give way to you if you cannot be seen, remember you can easily be hidden from their view by a tree, telegraph pole, lamp post etc. Be prepared to stop and take evasive action. In urban areas look out for vehicles emerging from driveways. Ensure your speed is appropriate to negotiate a bend without losing control. Anticipate hazards which may be concealed by a bend. Make sure your speed enables you to be able to stop in time to avoid them. Hydrate, dehydration is a hidden danger it affects your concentration and your reaction times. Do you still have valid insurance? Check that your insurance and MOT are valid and that you have notified your insurance company of any relevant modifications.